"In recent years scholarly treatments of Jesus of Nazareth, his message and history, have become, at least in Germany, increasingly rare. In their place there have appeared the numerous efforts of theologians turned poets and poets turned theologians" (Günther Bornkamm, Jesus of Nazareth [trans. Irene and Fraser McLuskey with James M. Robinson; New York: Harper & Row, 1960], 9). I am lucky to count poet, scholar, and third baseman par excellence, Aaron Michael Moe as an old friend. Moe, among his many talents, is a seasoned reader of great literature. He has helpfully developed a list of questions that seasoned readers ask as they encounter any text. I think that many of these will benefit university and seminary students as they encounter biblical poems, stories, instructions, etc. For behind the formulating question about the limits of a category under discussion is hidden a question which bursts all formulas asunder. Why does the story or poem matter? Who (or what) tells the story? Why must their body and/or their consciousness tell the story? What tropes are at work in the text? What does the trope open up? What are the underlying assumptions of the trope? What are the trope’s blindspots? Does the author/poet seem aware of these blindspots? What are the implications of the trope’s (un)examined assumptions? Where are the meta-passages (stories about theories of storytelling or poems about poetics)? What opens up when we read the author’s/poet’s work on his or her own terms? What does the story/poem say—explicitly or implicitly—about language?—about identity? How does the story/poem contribute to the continuity of and the ruptures within the literary tradition? What is the form/structure of the text? How does the materiality of that structure play with the content? How is that materiality part of a semiotic process (the process of creating meaning)? How is Power at work in the text? Who has Power? Who has/finds a voice? Who is silenced? How does the story or poem reflect the historical milieux of the author? How does the text interpret that milieux? How does it shape our understanding of that milieux? What is missing? How does the text shape/reflect our understandings of or responses to race, class, gender, sexuality, environments, animals, spirituality, and/or language? What unexamined ideology animates a character’s belief(s) or action(s)? That is, what “invisible” ideologies linger pre-reflectively below the surface of the text. And then: What unexamined ideology animates one’s response to a character’s beliefs or actions? Where are the crucial, resonate passages/lines of the text? What reading approach allows one to see these passages as crucial? Which of the following binaries capture a tension in the text: stability/instability; center/margin; public/private? How does that tension develop? What/where is the point of entry? What word/concept invites you into this particular world of meanings? If you were to choose a different point of entry, (how) would those meanings change? What “reality” does the story/poem select?—what realties does the story/poem deflect? How does the text explore the relationships between language, consciousness, and perception? Poems and stories are ways-of-being in language, in community, and on the earth. What is compelling about the text’s way-of-being that sets it apart from other works? What questions emerge as you read? If you choose to explore the text further, where would you go? What questions would you ask? For more from Dr. Moe, check out his home on the web: http://aaronmoe.com. You might also be interested in his book: Zoopoetics: Animals and the Making of Poetry. Free speech entitles the evil-grown-up-Jerry-Maguire kid to say things like this. Thanks Fox radio for reminding us that some Christians have learned nothing at all from Jesus or Jewish wisdom literature. The True Random Number Generator has spoken. Out of the 109 entries to win the 2015 Great Baylor Giveaway (I think a record number of entries for a giveaway on the Jesus Blog), the winner is the owner of comment 85. "My favorite non-theological book is "Go Dog, Go!" by P.D. Eastman. Congrats to Timothy, who will be receiving copies of Jens Schroeter's Jesus of Nazareth and From Jesus to the New Testament, as well as Matthias Konradt's Israel, Church, and the Gentiles in the Gospel of Matthew, all published recently by Baylor University Press. Thanks to Baylor! 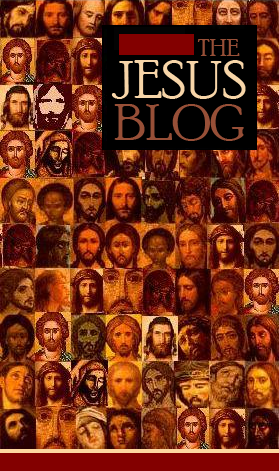 As a number of blogs have now noted, the famed historical Jesus scholar Marcus Borg (b. 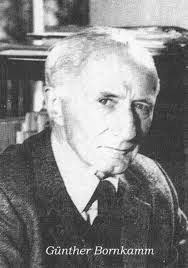 1942) recently died (for footage of Borg debating issues relating to the historical Jesus, see the videos on Biblical Studies Online). As a historical Jesus scholar, Borg’s most prominent work was part of scholarship of the 1980s and 1990s, especially his Conflict, Holiness and Politics in the Teachings of Jesus (1984) and Jesus: A New Vision (1987) and his activities as a leading member of the Jesus Seminar when it was at its most controversial. Borg is among figures such as Crossan, Fredriksen, Horsley, Wright, Meier, and Sanders who have come to epitomise the postmodern era historical Jesus studies, scholars who were known, or quickly to be known, to anyone engaging the field of historical Jesus studies. Borg was also part of an era which drew significant crowds to SBL papers, many more, by all accounts, than would be found at most historical Jesus papers today. In the case of Borg, this was quite something given that he was arguably more active and prolific in church circles and popular publishing and debating. Borg became especially known for portraying Jesus as kind of ‘mystical’ and inclusive figure with subversive tendencies and his Jesus was, as he may well have embraced, very much a figure of the late twentieth century as much as the first century. With some exceptions, the influence of Borg’s era of scholarship has been on the wane, as might be expected with any generational change in scholarship. Yet one of the general themes of Borg’s work which has been notably influential in the long run might be labelled ‘subversion’ which, I think, has only recently being challenged or nuanced in any sustained way and still has high profile advocates. It is striking that this theme can be found among Jesus Seminar publications but also in the work of his friend, Wright. I think a fair case can be made for Wright developing a Jesus which was an attempt to claim the rhetoric of ‘subversion’ for more conservative Christian thought. Given his close connections with Wright, Borg’s influence must have been as important as any. It is also clear that Borg’s ‘subversive’ Jesus has had a serious impact on liberal church groups in North America and the UK. Among groups such as Modern Church, for instance, Borg and Crossan are by far and away the dominant intellectual influences on the topic of Jesus. "It was never my junior high fantasy to marry an Episcopal priest." Rest in Peace, Dr. Borg. EABS Call for Papers: Historical Jesus and Revolution! ‘Revolution, Peace and Violence: Rethinking Jesus and the Politics of His Day’ Throughout the history of historical Jesus studies, questions relating to Jesus involvement in, and views on, politics, revolution, violence, and peace have been repeatedly raised while a cluster of publications over the past two years have attempted to rethink these issues both empirically and theoretically. This session will continue to address some of the classic questions in such debates about Jesus and the earliest Palestinian tradition: Was he ‘peaceful’? Was he ‘violent’? Was he a ‘revolutionary’? How did he view Roman imperialism? Did he have coherent views on the future of the ‘political order’? However, this session will also look at whether the labels commonly applied to Jesus (or the earliest tradition) are still analytically useful and whether strict categorisation of Jesus as, for instance, either ‘peaceful’ or ‘violent’ is too simplistic. Similarly, ideas relating to ‘revolutionary’ will be investigated in relation to variety of themes (e.g. class, gender relations, literacy) and beyond questions of ‘peace’ and ‘violence’ We will also consider papers in the area of historical Jesus studies more generally. Both of us have, in different ways, an interest in this topic, whether, ahem, my Jesus and the Chaos of History, or Fernando's 105 page article 'Jesus and the Anti-Roman Resistance: A Reassessment of the Arguments' in the latest Journal for the Study of the Historical Jesus. And it's a hot topic, is it not? With your academia.edu account, you can read chapter three of my The Historiographical Jesus: Memory, Typology, and the Son of David. Here I explain some historiographical elements of Social Memory theory. The previous chapter (ch. 2) surveys modern hermeneutical theory in the philosophy of history at large. The following chapter (ch. 4) offers my theoretical adaptation of Social Memory for historical Jesus research. The second half of this book demonstrates my adaptation of Social Memory with a specific method that I call "triangulation" via "memory refraction." I do so by focusing on the exegetical problems presented by the title Son of David in Second Temple Judaism(s). When I completed this book as my dissertation in 2005, it was the first book-length treatment of Social Memory for historical Jesus research. The chapter linked above was first presented at the Durham-Tübingen symposium in 2004. The papers from that meeting were published in this collection. The most recent volume of the Journal for the Study of the Historical Jesus has two articles that might intrigue readers who remember Paul Foster's argument against the usefulness of social memory theory in historical Jesus studies or the panel discussion between me, Rafael Rodriguez, Zeb Crook, and Paul Foster at SBL 2013. Stanley Porter and Hughson T. Ong respond critically to Foster's article ("Memory, Orality and the Fourth Gospel: A Response to Paul Foster with Further Comments for Future Discussion") and Foster then responds to Porter and Ong ("Memory, Orality, and the Fourth Gospel: An Ongoing Conversation with Stan Porter and Hughson T. Ong"). I haven't had a chance to read the whole thing thoroughly but will report back in due course. My own two-part article "Social Memory Theory and Gospels Research: The First Decade," interacts critically with Foster's initial argument at some points as well and has been with the journal Early Christianity since the summer of 2013. The editors decided to have a themed volume on the memory approach, which is why it's taken a while to come out. It will be out later this year. "I am only the person the greatest number of people believe that I am." In my previous post, I noted that the most obvious contribution of Anthony Le Donne’s The Wife of Jesus: Ancient Texts and Modern Scandals is its offering of a coherent narrative, showing how different socio-historical contexts have led to various portrayals of Jesus’ sexuality, including his marital status. That is the most obvious contribution of the study. What I wish to focus upon here, though, is his most important contribution, not only to studies of Jesus and gender but specifically to studies of the historical Jesus. In my opinion, the most important contribution is his convincing demonstration that historical silence is a knife that cuts both ways. Indeed, I’m not sure that I’ve come across a study of Jesus that makes this particular point in such an emphatic fashion. Let me demonstrate how this works by interacting with two interrelated claims of the book. First, and to cut to the chase, Le Donne does not think that Jesus was married to Mary Magdalene, but not for the reason typically given. Scholars typically argue that Jesus was not married to Mary Magdalene because nothing in the Gospels really would make you think that he was. Certainly, she seems to be one of his disciples, and a particularly important one of his female disciples. But there’s really nothing to suggest a sexual or romantic relationship. Le Donne points this out and shows how this type of speculation really only emerged much later in ancient Christian and medieval reflection on Mary Magdalene. Supporting this point, he argues that the concept of “romance” isn’t entirely comfortable in Second Temple Judaism and that, when it comes to Jesus’ sexuality or marital status, one should think not in terms of “love” of the hearts-and-butterflies variety but in terms of family, honor, and duty. Citing Jesus’ tense relationship with immediate family (especially the interchange in Mark 3:31–35) and Jesus’ teaching that his disciples should abandon family and family obligations on various occasions (“Let the dead bury their own dead,” etc. ), Le Donne argues that Jesus seems to have been something of a non-conformist when it came to family. Thus, it seems very unlikely that Jesus would have settled down into a family role with a spouse during his public ministry. That last part is italicized because it’s an important nuance that Le Donne has added to the discourse on Jesus and Mary and the second matter I want to mention. In short, he thinks it is possible that Jesus was married at some point in time earlier. Indeed, Le Donne goes so far as to say that, in the absence of evidence to the contrary, our default setting should be that Jesus was married earlier in life. In support, he cites Paul, rabbinic evidence, the Dead Sea Scrolls, life expectancy studies, and also Roman evidence. He demonstrates that there was societal pressure to marry, pretty much regardless of which society you’re using to approach Jesus. On the first point, Le Donne’s observations that typical default thinking about marital relationships in Second Temple Judaism belongs more comfortably in the modern world than the ancient world is convincing. It’s also clear to me that Jesus acted at least occasionally in manners that were contrary to society’s familial norms. The second point is, in my opinion, less convincing, but it depends upon the degree to which you interrogate it. Le Donne forwards this only as a possibility that has to be taken seriously; he never forwards it as a conclusion he has reached. But, Le Donne mentions it so often that rhetorically I think he might give even the possibility more credit than it is due. I don’t think the evidence about the normalcy of marriage in Jewish society is so strong that we must constantly think that it’s just as likely that Jesus was married earlier in life (“perhaps in his early twenties”; 128) as it is that he wasn’t. Le Donne’s appeal to Paul’s celibacy is interesting here (as is his frequent appeal to Peter’s marriage), but suffice it to say that I’m equally unconvinced that it is “quite possible” (106) that Paul was married earlier in life. There’s an issue here that his study raises but doesn’t fully address, although it does address the larger methodological matter to which it relates: If Jesus (or Paul) was a non-conformist on these issues later in his public ministry, upon what grounds can we say that this outlook was confined to that period of his life? Could he not have been a non-conformist earlier, which would lead us to conclude or suspect that—most likely—he was not married later and also was not married earlier? Stated otherwise, how are we to decide whether the later practice was a change from earlier practice or in continuity with earlier practice? How do we speculate upon the unknown in light of the known? We’re dealing with the role of silence in historical argument, but for me there’s not enough to tip the scale from “possible” in the sense of we-really-have-no-idea-one-way-or-the-other to “quite possible.” This is the splitting of hairs, of course, but in this instance I think it’s important because it’s the role of these types of questions that Le Donne’s study highlights as crucial to historical study of Jesus of Nazareth, and more crucial than we often recognize. Indeed, this is, in my opinion, his most important contribution, which earlier I described as demonstrating that historical silence is a knife that cuts both ways. Le Donne uses the historical silence that scholars typically employ in order to reject the idea that Jesus was married to Mary Magdalene in order to affirm that he likely was, or at least very well could have been, married to someone else before his public ministry. In short, according to Le Donne, Jesus wasn’t married to Mary, but that doesn’t mean that he wasn’t married. The discomfort that many throughout history have had with a married Jesus is one focus of the book, but this other contribution is directed further toward those who feel that discomfort: Why, in what we all recognize as an issue clouded by historical silence, are some people happy to invoke that silence when it helps affirm their preferred perspective but marginalize that silence when it would suggest a number of other possibilities that are not particularly welcome for whatever reason(s)? Le Donne’s study argues persuasively that these other possibilities must be seriously entertained. At the end of the day, one may not think the case for a married Jesus is that strong—it’s not entirely clear just how strong Le Donne himself thinks it—but one can no longer think that there is no case to be made. Le Donne has shown that there is. As I mentioned in the first post, I was wrong to think there was nothing for historical Jesus scholarship in this topic, and I’ve rarely so enjoyed being proven wrong. 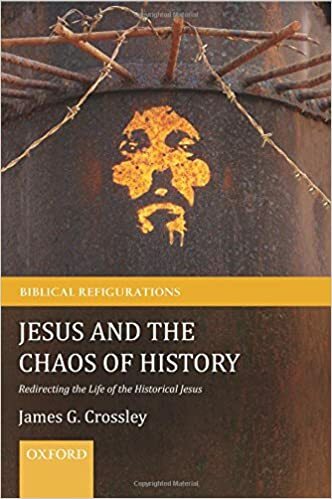 A few days ago Wayne Coppins informed me that his book group (the Athens Historical Jesus Group) had assigned my little Historical Jesus: What Can We Know and How Can We Know It? I immediately thought, "What a waste! There are so many good books on Jesus out there!" Wayne then informed me that his group liked to take breaks from reading good books periodically. So I affirm and bless their commitment to keep a sabbath, so to speak, with my book. Does the World Really Need More Bible Scholars? I was shellshocked by the violence reported from France in the last few days. I'm now utterly dumbfounded by the news from Nigeria. What makes this already hellish news worse is the realization that in two days or two weeks (more or less) Americans will be preoccupied by Downton Abbey or the Superbowl or the latest non-story related to an implausible presidential candidate. I sat through church today trying to form words for the Boko Haram situation and was thwarted by the ineffable (apologies to my pastor who was trying to get me to care about accepting God's love in my life - a not insignificant topic!) .... I am simply ill-prepared to form an intelligible thought when confronted with such horror. So forgive me if this suggestion is ill-considered: shouldn't our churches be sending our best and brightest into the field of peace and conflict studies? Don't become a Bible scholar. Don't become a theologian. Don't become an expert in a dead language. Take classes related to these fields by all means (I'd like to keep my job)! But perhaps consider going to Rutgers, Notre Dame or Berkeley, etc. to study peace. Maybe we need more pastoral voices who are both conversant with the Apostle Paul and Malala Yousafzai. Further to this suggestion, maybe we need more classes on peace studies taught at our seminaries and Bible colleges? Here is a short list of related programs. After all, even if graduates do decide to become pastors, counsellors, and scholars employed by our churches, we'll all benefit by these voices in our faith communities. The world already has enough professional Bible scholars. A good argument can be made that we already have too many. My guess is that we'll continue to attract folks who just can't see themselves in another field. We have a greater need. 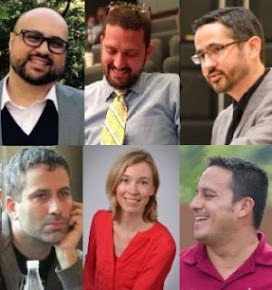 We need people who think deeply, interdisciplinarily, and intelligently about peace. For what it's worth, I believe that this is a biblical hope. This 16 min talk by Chris Abani is wonderful and wonderfully funny at times. Humor always helps me put a face on tragedy in a way that humanizes rather than sentimentalizes. I was honored to see recently that Nijay Gupta (George Fox University) named Jesus against the Scribal Elite an honorable mention for his best new Jesus/Gospels book for 2014. He had reviewed the book back in August on the Crux Sola blog that he authors with Christopher Skinner. As Anthony already noted, Greg Carey wrote a thoughtful and careful review of the book at Christian Century, for which I am grateful also. I especially liked this line: "Keith writes with the charm of an excellent classroom teacher: always clear, occasionally hip, and sometimes a little geeky." I'm honored at such a description. I'm also appreciative of the review that Horacio Vela of University of the Incarnate Word published in Choice 52.5 (2015). 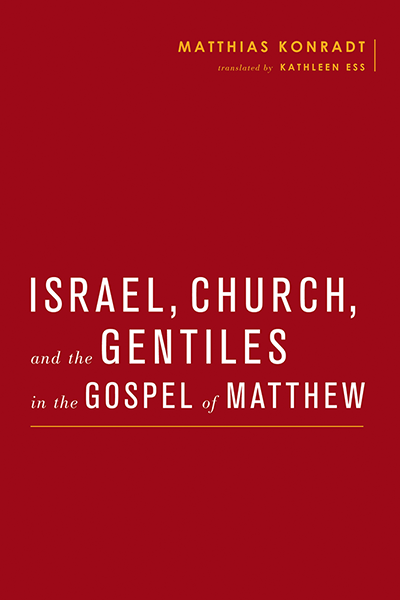 He highly recommended the book and, though (rightly) noting that there might be disagreement over the "memory approach" methodology, says: "Keith creates a plausible account of a conflict rooted in Jewish social and religious practices that culminated in Jesus' death at the hands of Roman authorities. This book serves as a great introduction to studies of ancient literacy and historical Jesus research for theology/religion courses at the undergraduate/graduate level." There was also a critical review appearing in the most recent volume of the Journal of the Evangelical Theological Society by Brian Wright, a PhD student at Ridley Melbourne College of Mission and Ministry. 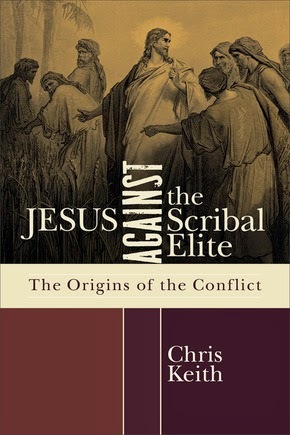 I raised my eyebrow a bit when Wright told his readers that I've previously written two monographs arguing that the historical Jesus was "not a scribal-literate teacher," since my first monograph has nothing to do with the historical Jesus and argues that the author of the story of the woman caught in adultery seems to think Jesus was literate. Wright praises aspects of Jesus against the Scribal Elite, but faults me for having failed to include some bibliographical items and not responded to prior criticisms of my other books in this book since it deals with some of the same content. I suppose that's fair enough, but those criticisms hadn't changed my mind on the pertinent issues and I didn't think a textbook was the place to engage in line-by-line response anyway; otherwise I'd never have gotten on to the book itself or kept it at the level it was intended. I have addressed and am actively addressing those criticisms in other contexts, such as here, here, and here. He also seems frustrated that, from the pile of publications that have come out since my last monograph, I cited positively Anthony Le Donne and Rafael Rodriguez. I'm not sure if he's trying to create the impression that I only cited my buddies, but he failed to note that I also include Dagmar Winter, Dale Allison, Loren Stuckenbruck, and Mark Goodacre, most all the contributors to Jesus, Criteria, and the Demise of Authenticity. The really odd criticism, though, was when he faulted me for not interacting in this book with Von Rom nach Bagdad, a Mohr Siebeck book on ancient education that was published in August 2013. As anyone who has published a book knows, though, a book comes out anywhere between (usually) 8 and 12 months from when you submit the final form to the press. In the case of Jesus against the Scribal Elite, it was actually 14 months. I submitted the book to the press at the beginning of February 2013 and it was published in April of 2014. So I submitted the manuscript six months before Von Rom nach Bagdad had even been published. What can I say? Yes, indeed, I did fail to cite a book that had not yet been published. I remain grateful to Wright for highlighting some positives of the book, though, as well as his constructive suggestions, and thank the other reviewers along with Wright for taking time to read the book in the first place. Dale Martin's recent cover of Amy-Jill Levine's "Walk the Line" wasn't exactly a studio recording. It was therefore difficult to identify a few of the words. A number of of you (two) cried out in unison demanding to have a transcription of the official lyrics. Because we couldn't disappoint both of our regular readers we took action immediately. Truth for you and me? Is a perspective thoroughly obscene. Should Bible 101 be a Thing? I have probably taught over fifty classes related to the Bible in the past ten years. This doesn't include a few other classes that were a bit less Hollywood. Forty or so of these Bible classes have had no prerequisites. This is to say that most of my students were not required to take any previous classes before they started studying the Bible with me. I'm talking about "Introduction to Bible," "Introduction to Paul and Stuff," "How to Read the Bible without Becoming a Complete Tool" etc. At my present place of employment, it is not uncommon for students to take "Intro to the New Testament (I or II)" as their very first graduate-level class. At my previous place of employment, no previous university classes in religion, literature, or art were required for "Portraits of Jesus" class. At another university, "Introduction to Bible" was standard for first-year undergraduates. I'd like to think that I've gotten better at anticipating the abecedarian, but every semester I end up wondering. Here is what I wonder: why do we continue to teach Bible as an introductory class? It increasingly difficult to assume that students have had a great literature class, a poetry class, an introduction to religions class, an introduction to the humanities class, or a "how to write an essay" class. I often wish beyond hope that my students will at least have taken Hebrew Bible/OT before they enter my NT classes. But this wish is simply passing the buck. My guess is that (almost) all professors who assign The Art of Biblical Narrative privately wish that their students had already read this book before walking in the door. Don't we need students to understand how narratives work, how poetry works, how anthropologists think, how religious experience functions, etc. before they can study the Bible at an academic level? In short, I'm suggesting that we ought to make Bible a topic for upper-level students. Thoughts? I am wide open on this one and fishing for better ways to think about the problem. With the help of the good folks at Baylor University Press, we're starting 2015 with perhaps the best giveaway we've ever done on the Jesus Blog. 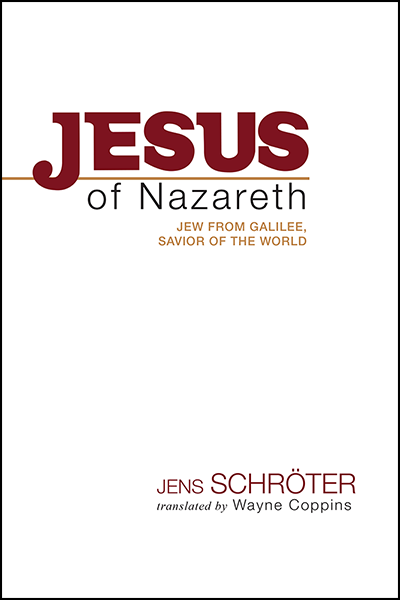 You can win three books: Jens Schröter's From Jesus to the New Testament, Jens Schröter's Jesus of Nazareth: Jew from Galilee, Savior of the World, and Matthias Konradt's Israel, Church, and Gentiles in the Gospel of Matthew. So that's two Schröters and a Konradt, and the first and last of those books are both volumes in the Baylor-Mohr Siebeck Studies in Early Christianity series. Want to win all three? You can enter in the usual ways: (1) leave a comment saying you want to win; (2) sign up to follow the blog and leave a comment saying you do; (3) share this post on any form of social media and leave a comment saying you did. For wild card entries, you can tell us your favorite non-theological book. Mine is a close tie between Mark Twain's Life on the Mississippi, John Kennedy Toole's A Confederacy of Dunces, and Judy Blume's Tales of a Fourth Grade Nothing. 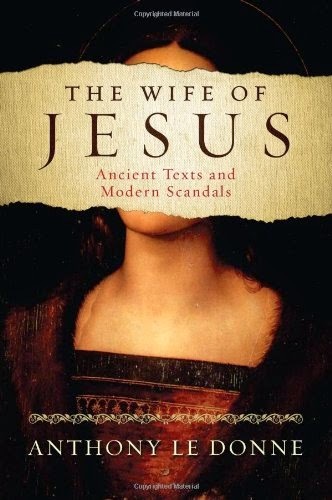 The most obvious contribution of Le Donne’s The Wife of Jesus: Ancient Texts and Modern Scandals is his demonstration of how Jesus’ sexuality (and marital status as part of that larger matter) has been variously employed in different historical contexts, including modern scholarship. He thus treats, for example, the Gospel of Thomas, the Gospel of Philip, Mormon portrayals of a polygamous Jesus, Morton Smith’s possibly-gay Jesus from Secret Mark, and the recent scandal surrounding the (overwhelmingly-likely) fraudulent Gospel of Jesus’ Wife. (I was surprised that more attention was not given to the Jesus Family Tomb phenomenon, though.) Tying all these various portrayals of Jesus in ancient and modern contexts together in a coherent narrative demonstrates conclusively what I mentioned in the earlier post—not knowing anything historically about a putative wife of the historical Jesus does not mean that there’s nothing interesting to say or study about such a figure and the concomitant issue of Jesus’ sexuality. In a sense, Le Donne demonstrates that those interested in Jesus from various contexts have simply not been able to resist the topic. His study makes a real contribution in this regard to gender studies on the Bible as it shows that Jesus has, at times, become a mirror reflection of the sexual anxieties and issues of a given period. In my next post, I will engage some of his argument critically but in service of demonstrating the study’s most important contribution. The venerable James McGrath is considering changing the name of his famous blog "Exploring our Matrix." He is asking for suggestions. Check in with him here to help him out. For my part, I have come up with the top ten titles to rename James McGrath's blog.